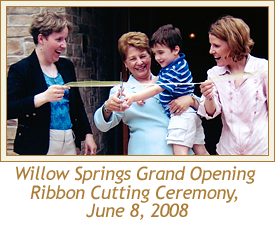 For more than 100 years, Zarzycki Manor Chapels, Ltd. has been serving the families of Chicago and surrounding suburbs. 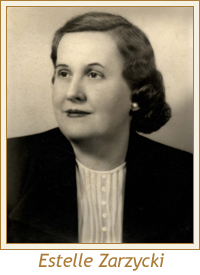 The funeral home’s legacy began with the birth of Agnes S. Zarzycki (nee Matelski) who was born in Poland in 1884. At the age of three, Agnes, along with her family, emigrated from Poland settling in Chicago. Being educated in the American schools, Agnes was fluent in both the English and Polish languages. Growing up, Agnes realized at a very young age that she desired to serve her community in an industry that was yet to be discovered by many women. Shortly after his arrival in 1901 from Poland, Agnes married Stanisław Zarzycki. Agnes and Stanisław started a horse and carriage livery service for funerals, weddings and other special events. Their services were always requested throughout the community when a death had occurred. Grieving families needed transportation to various locations to plan for a funeral. Agnes began to realize a need for women in the funeral industry. With much encouragement from family and friends and her great interest, Agnes began her studies at Worsham Mortuary Training School. 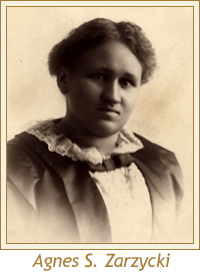 With 42 students in her class, three of them women, Agnes completed her education for her funeral license becoming the first woman funeral director of Polish descent in Chicago in 1915. Soon after her education, Agnes founded A.S. Zarzycki Zakład Pogrzebowy i Balsamowanie Zwołk which was located at 2532 South Sacramento Avenue (Telephone Rockwell 2573), Chicago. This was also Agnes’ and her husband’s home. The front parlor was transformed into a visitation chapel. Then, in the late 1920’s, the building at 2955 West 25th Street, at the corner of South Sacramento Avenue, was purchased and became the new funeral home and residence. The funeral home was located within the parish of St. Casimir, known today as Our Lady of Tepeyac Church. Agnes and Stanisław had five children: their eldest was Casimir A. Zarzycki. Following in his mother’s footsteps, Casimir attended Worsham, graduated in 1924 and worked alongside his mother. 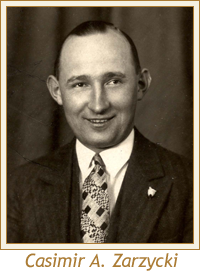 The business strived through tough years including the Great Depression and the death of Agnes’ husband in 1927. The funeral home handled many difficult cases during this time including influenza and tuberculosis. Over the years, the business grew and the need for a larger facility became imminent. On November 11, 1941, Casimir and his wife Estelle (nee Kolek), whom he married in 1931, purchased a building at 3054 West Cermak Road. Extensive remodeling was completed to suit the needs for a funeral home and to adequately serve the families of the area. Zarzycki Funeral Home was now operating at two locations. However, after World War II, Casimir sold the funeral home on 25th Street and concentrated on Cermak Road. In 1950, the corner building at 3056-58 West Cermak, formerly a dress store and Kucera Grocery and Butcher Shop, was purchased. The building, which housed the dress shop, was remodeled to include a chapel, as well as a merchandise showroom. The showroom was the first in Chicago furnished by Loyal Casket Company, a local Chicago family casket house incepted in 1946 and still in business today. In 1952, after a long illness, Agnes passed away leaving her legacy to her son and daughter-in-law. With a growing business at hand, Estelle, in order to assist her husband, completed evening studies at Worsham in June 1953. Casimir and Estelle had three children. Their eldest, Richard C., became the third generation of family funeral directors when he completed his studies at Worsham in December 1955. 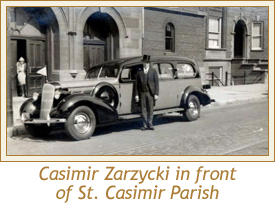 Over the years, Zarzycki Funeral Home began serving families of many areas, including neighborhoods to the southwest. In 1962, a new location was built and opened on Archer Avenue and Keeler known as Manor Chapels. Richard C. managed this chapel, while his parents operated the Cermak chapel. The name was soon changed to Zarzycki Manor Chapels. Richard married Charmaine Kalisiak in 1969. Charmaine attended Worsham as well and graduated in 1971. After Casimir’s death in July 1971 and the declining business in the area, it was decided to sell the Cermak chapel in 1983. For more than 50 years, Zarzycki Manor Chapels, Ltd. has been operating at the Archer Avenue and Keeler location. In 2006, Richard passed away leaving his wife Charmaine, along with their daughters Claudette and Andrea, as current owners and operators. This makes Claudette and Andrea fourth generation funeral directors. The Zarzycki Family broke new ground on a second location at 8999 South Archer Avenue in Willow Springs on April 11, 2007. The building of the new location was highly motivated by the families they serve, as well as to accommodate their needs and the funeral home’s growing business. On March 13, 2008, the Willow Springs location officially opened for business. Both locations will continue servicing families in the traditional way the Zarzycki’s have been since 1915. The mother-daughters team is truly a family affair at Zarzycki Manor Chapels, Ltd. 2015 marked the 100th Anniversary of the family owned and operated funeral home. On October 24, 2015, the Zarzycki Family marked this momentous occasion with a celebratory Mass at St. Richard Parish.